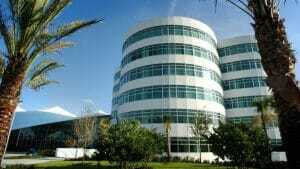 Florida Hospital Waterman is the first to offer the latest advancement in its area. Florida Hospital Waterman is proud to be the first and only hospital in Lake County, Florida, United States, to now offer patients Mako™ Robotic-Arm Assisted Total Knee Replacement. Since 2012, Florida Hospital Waterman has been the only hospital in Lake County to offer the Mako™ partial knee replacement procedure. This latest advancement in joint replacement surgery transforms the way total knee replacements are performed. According to the Journal of Bone and Joint Surgery, around 7 million Americans are living with a hip or knee replacement, and consequently, in most cases, are mobile, despite advanced arthritis. These numbers underscore the substantial public health impact of total hip and knee arthroplasties. The team of orthopedic surgeons at Florida Hospital Waterman have the most experience in Central Florida working with a robotic-assisted surgery system for joint replacement. The new knee replacement technology is an innovative treatment option for adults suffering from knee joint pain typically caused by arthritis. Using the robotic-arm assisted surgery system, surgeons can more accurately plan and place implants, potentially reducing variability within the total knee replacement procedure. A 3D virtual model of a patient’s unique anatomy is created based on a CT scan of the patient’s knee and is then used to create a personalized pre-operative plan. The Mako™ system may not only increase accuracy but may also result in less blood loss, greater sparing of the bone and higher function post-surgery compared to manual total knee replacement. In addition to offering the most advanced orthopedic technology available in Lake County, Florida Hospital Waterman is the only hospital in the area to achieve the Joint Commission’s Gold Seal of Approval® for Knee and Hip Replacement. The certification recognizes Florida Hospital Waterman Joint Replacement Center’s dedication to continuous compliance with The Joint Commission’s state-of-the-art standards for patient safety and quality of care.